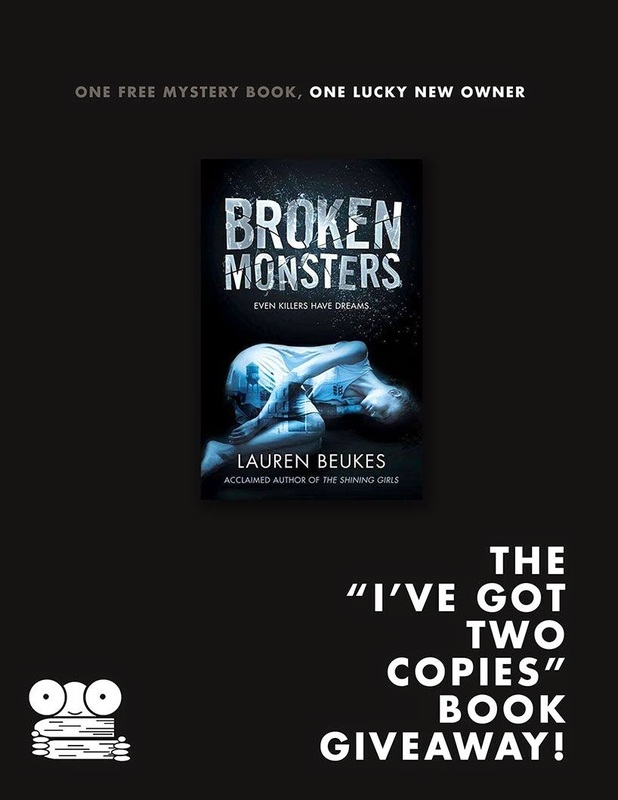 As promised, today I announce the winner of the 'I've Got Two Copies' Book Giveaway. Thank you for entering either via facebook or the blog. I always get super nervous when I do book giveaways that no one will enter so I'm happy I had some entries for this book. I am also happy to announce that after cutting, writing, crumbling, tossing in a hat, shaking it up and getting someone other than myself - my mother lovingly helped to pull the name out of the hat (thank you :)), that the winner of the 'I've Got Two Copies' Book Giveaway is Nard who enterred via the blog. Congratulations!!!! 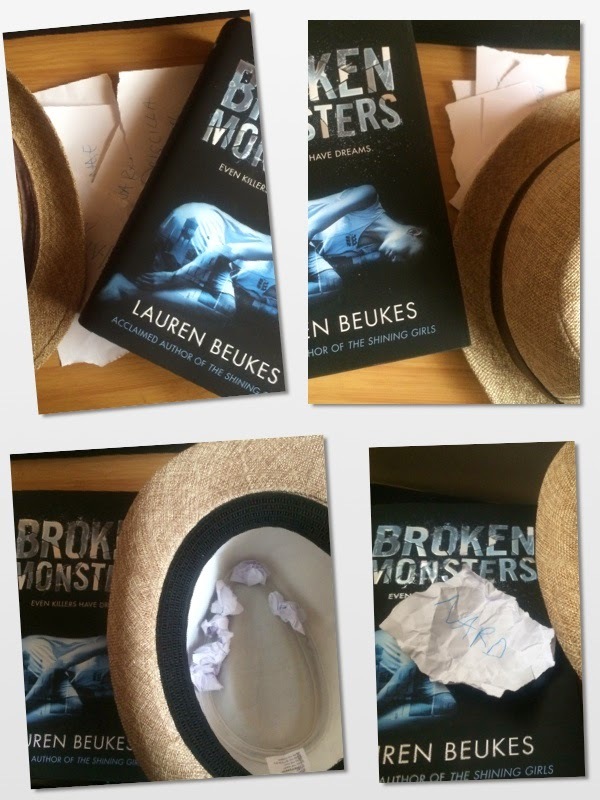 Please send an email to bookshy@gmail.com with a delivery address and Broken Monsters will be on its way to its new home. I hope you enjoy it!!! !